Ringing telephones are the sound of success. The more business calls you receive, the better. Research tells us that’s true. One survey says that 80% of business communication happens over the phone. 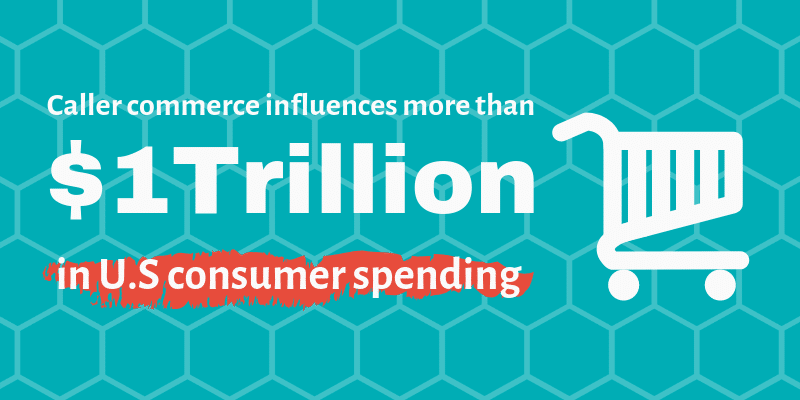 Another says that, with help from mobile phones, caller commerce influences more than $1 trillion in U.S consumer spending. So, business calls still matter. But excessively high call volume is a challenge for many companies. When your call volume greatly exceeds expectations, it overwhelms staff, and ultimately it can cost a company business. High call volume not only hurts sales but also alienates people and delivers poor customer service. The guide below tells you how to manage high call volume effectively. What is a high call volume? When you finish reading this guide, you’ll understand how high call volume and how to manage it quickly and cost-effectively, saving time and money. Inbound call volume refers to the number of phone calls you get during a period. Calls per second (CPS), for example, refers to how many calls you get in a second. Depending on your business, you may get 40 to 50 or 200 to 300 a calls day. 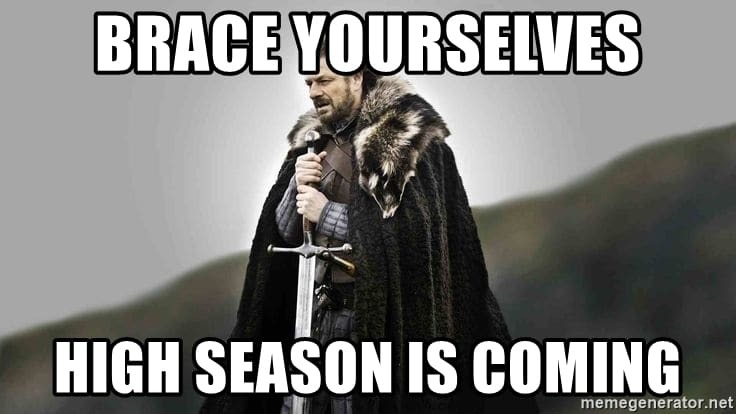 You may also get spikes in call volume due to seasonality or special promotions. With proper planning, you can easily handle a modest increase in volume, so customers get epic service and nothing falls through the cracks. The challenge comes when call volume skyrockets. We’re not talking about a 10% or 20% uptick in volume. We’re talking about four to five times your normal volume, maybe for hours. All businesses experience spikes like these. Mismanaging high call volumes, however, hurts your business more than you know. Seasonal spikes — These occur when you launch new products before a holiday, host a special promotion on a special day or week, or hold an annual event. These high-volume calls often happen at critical times of the year. New corporate initiatives — Launching new products or services, increasing the number of ads, declaring a once-in-a-lifetime discount can all cause spikes. YouTube videos or social media messages that go viral can do the same. Internal issues — Insufficient staff, poorly trained agents or the wrong agents—these can all pump up call volume. Call backlog, for example, can see customers calling any number looking for help. Marketing mishaps — With a poorly designed website, for example, you can get additional calls regarding basic questions, like your hours, products, or services. Review your site and marketing material to make sure it includes the basics. These are fours reasons for high call volumes. More exist. Mishandling high call volume is never good. 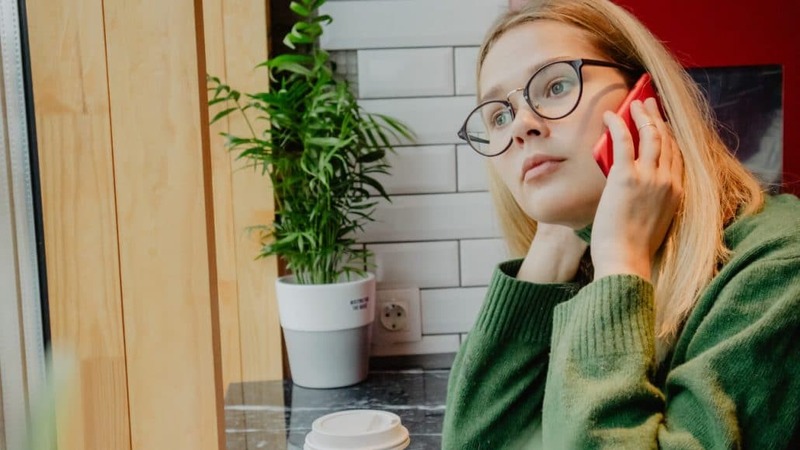 It often leads to abandoned calls—where customers disconnect while on hold—and missed calls—where customers are sent directly to voicemail or worse, no answer. Research, for example, says that call abandonment costs as much as 40% of lost potential revenues annually. If you’re spending $20,000 monthly on marketing to get 1000 inbound phone calls, each call missed or abandoned can cost $20. Miss 40% of those calls annually and you’re throwing $8,000 out the window. If high call volume happens frequently, you could be losing a lot of revenue. If your abandon call rate was 35% per hour and your average sale is $50, for example, you could lose as much as $20,000 per hour in revenues during a high call volume period. That’s a lot of revenue to drop in a single hour. Mishandling high call volume hurts in other critical ways. For one thing, it delivers poor customer experience to callers. As a business, you live and die by customer experience. If it doesn’t measure up to what your customers expect, they’ll sour on your business, costing you revenue and repeat business. 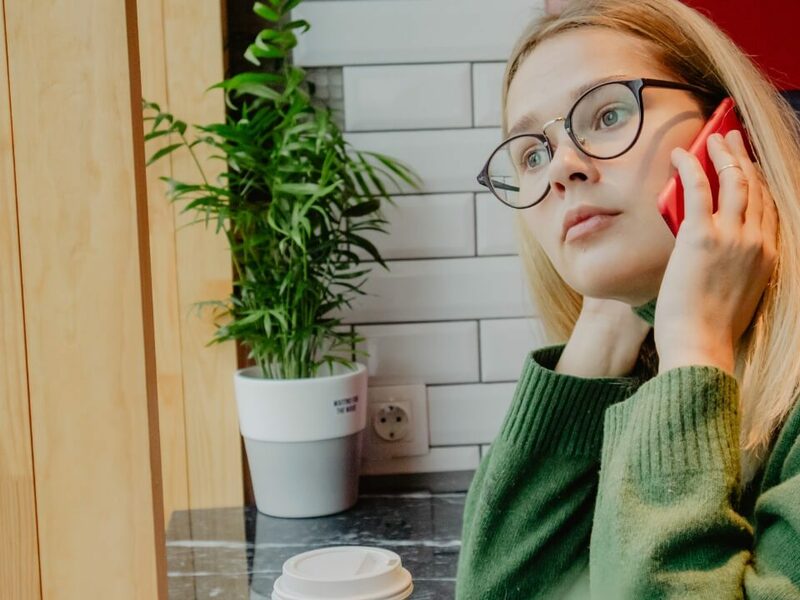 The result of getting poor service like this is that 67% of customers become “serial switchers”— people who won’t hesitate to switch brands because of lousy customer service, says one research report. It also says that businesses lose up to $75 billion annually thanks to bad customer service. That’s an increase of $13 billion from the last report issued in 2016. Customers defect— Few customers stick around if they experience repeated instances of bad service. For some, it takes only one bad experience to chase them away. Customers stay away — Prospects avoid businesses when they hear first-hand accounts of bad service from friends and acquaintances. People tend to believe these accounts. Reputation erodes — Poor customers experience generates things like bad Facebook and Yelp reviews. These reviews can go viral and devastate your reputation. Employees leave — Employees know when something’s off. Like customers, they won’t hesitate to jump ship if things aren’t right—maybe to a competitor. Morale suffers — It’s a vicious cycle. Poor customer service produces angry customers, eroding employee morale. Unhappy employees deliver poor customer experiences. The bottom line is that delivering ineffective customer experiences makes a negative impact on all types of businesses as well as companies of any size and shape. This seven-step plan provides a systematic approach to handling your high call volume challenge. Key metrics to consider when doing this are first contact resolution, abandoned call rate, the average speed of answer, average handle time, average call transfer rate, and cost per contact. Assign telephone duties — Pick a staff member to deal just with high volume callers. You may have to hire an additional part-time staff member to help address the need. 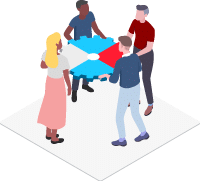 Create an online FAQ — Creating a frequently asked questions (FAQ) page is a cost-effective way to eliminate basic questions about your company, products, and/or services. 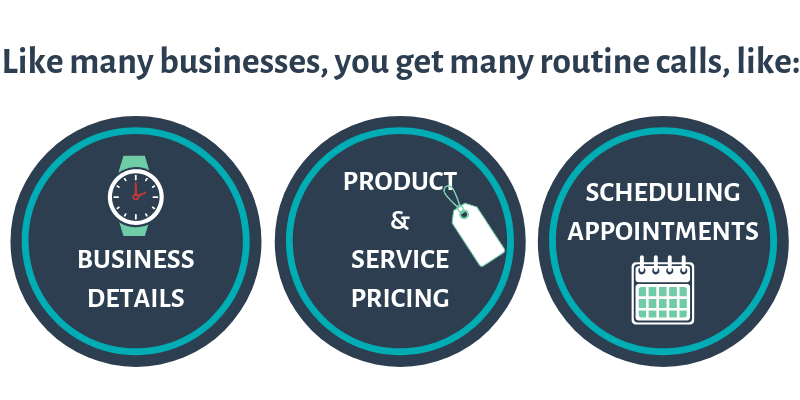 It saves you and your customers time and money. 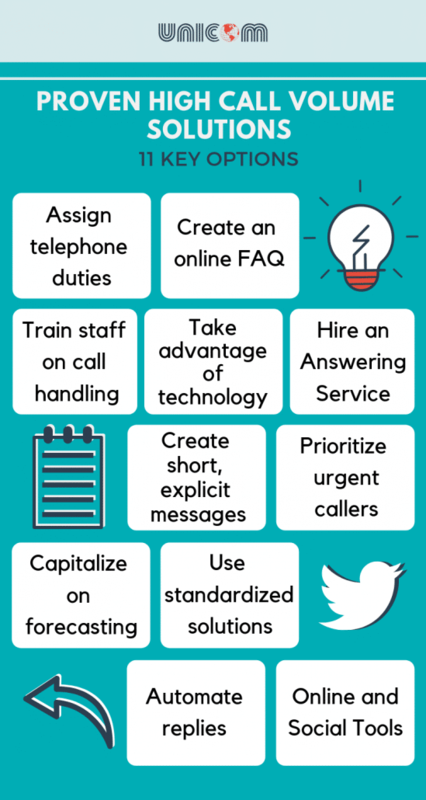 Train staff on call handling — Train staff to handle calls efficiently. You also want them to answer high volume callers accurately and promptly. Training staff on handling call this way pays off. Take advantage of technology — Numerous options exist that can help you relieve the pressure of high call volume. Voicemail, caller ID, and chatbots, for example, are all worth considering for your high call volume challenge. 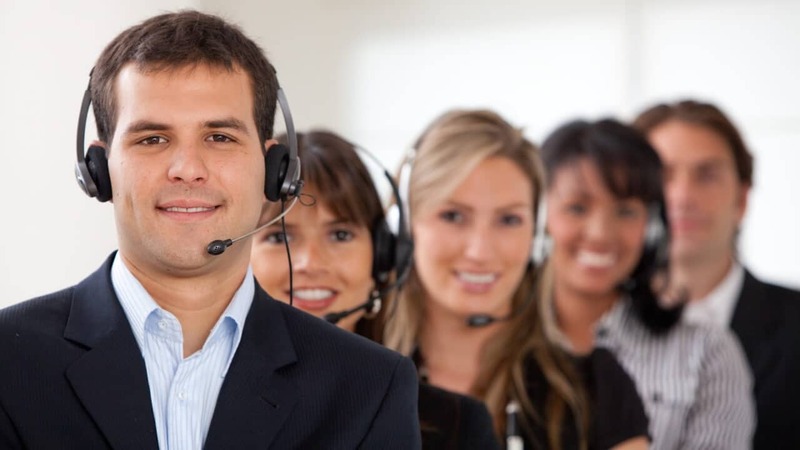 Hire an answering service — This solution helps you deal with high call volumes and also provides a professional voice answering your calls and a cost-effective way to deliver excellent customer service. Learn what is an answering service. Create short, explicit messages — Caller confusion often causes customers to phone back again and again. Short, simple messages reduce confusion and shorten call lengths, alleviating call volume pressures. Prioritize urgent callers — Some calls are more critical than others. Making answering these calls a priority not only delivers epic customer service but also boosts sales and increases revenues. 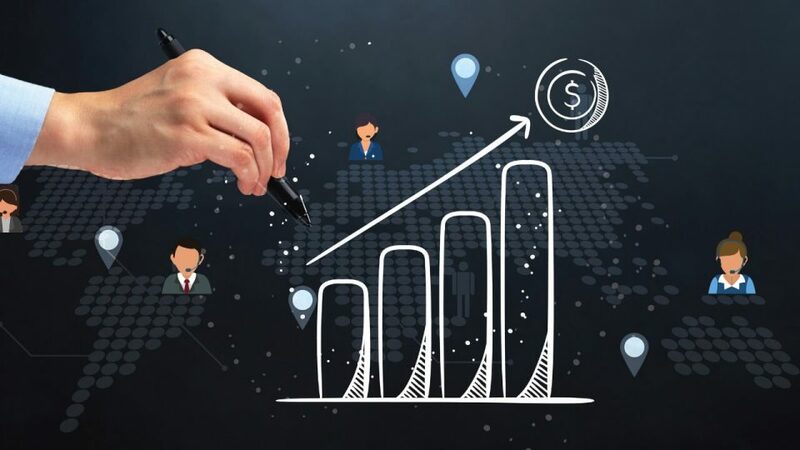 Capitalize on forecasting — Data from analyzing call sources and frequency shows patterns that can help you better address high call volume by re-assigning staff members to periods where their help is needed more. Use standardized solutions — These are great time savers. In addition to an FAQ page, you can use SMS and email to address queries repeated by many high-volume callers, which helps you better manage your high-volume call challenge. 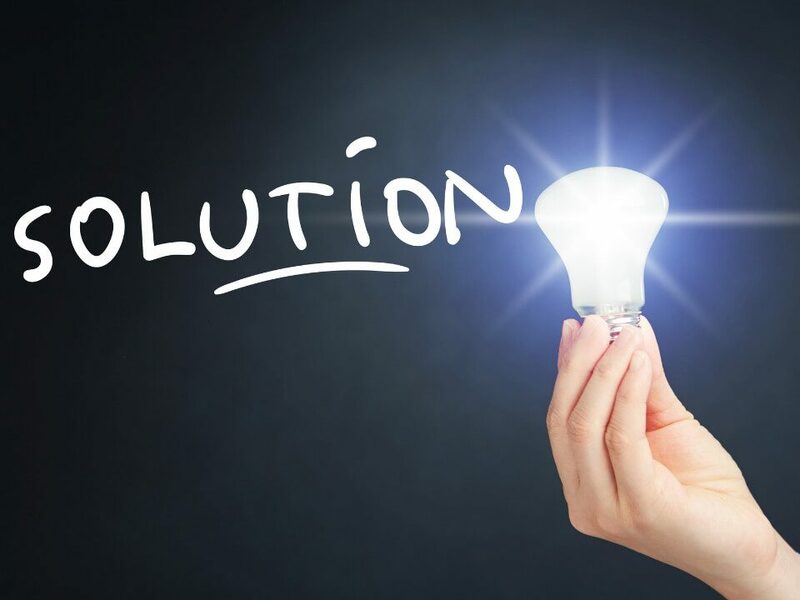 Automate replies — If you know the reason for the increase in calls—software glitches, product shortcomings, poor service descriptions—you can automate replies with a directive on how to solve the problem. 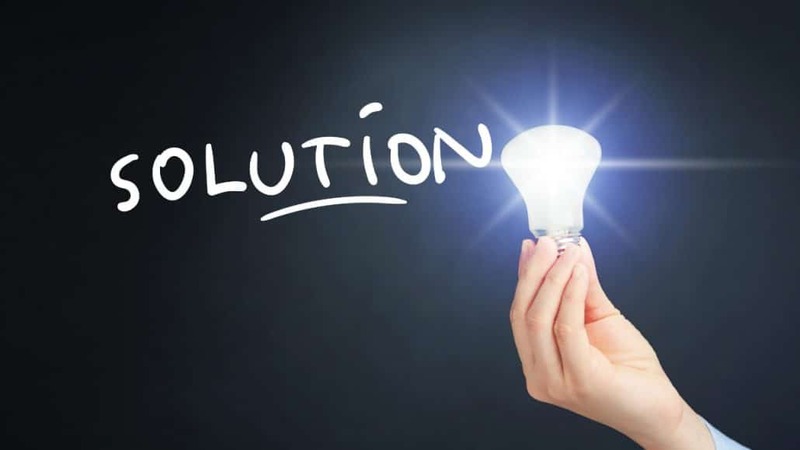 Online and Social Tools – Another solution that more and more companies are using is social media and online tools. Updates on social media on a topic, for example, can respond to customers concerns without customers calling. Ringing phones are the sound of success. But not when you’re flooded with calls. High call volumes often result in numerous missed and abandoned calls—both of which impact your business negatively. Instances of poor service, they not only chase customers away but also drain profits from your company. To survive and thrive as a business, you must learn to manage high call volume decisively if they’re a problem. Follow our seven-step action plan above and use proven solutions that fit your needs to beat the high-call volume challenge. Beating it improves customer service, generates positive word-of-mouth advertising, and boosts corporate profitability.